In this episode of PoPolitickin, we poltick with producer Off Balance of the Digital Martyrs crew. The sound of Northern California’s hip-hop trio, the Digital Martyrs, is both newfangled and distinguishable, which had always left a breathless impression on fans at attendance. Their objective in the industry mirrors the intent of hip-hop acts of yesteryear, to provoke and to stimulate. From the antagonistic but affirmative undertones in the lyrics, to the soulful and gritty instrumentals behind them, the Digital Martyrs have stayed successfully relevant despite there obvious movement away from pop-ish, shiny-swag-filled, bubble gum raps. Their efforts are to diverse the hip-hop brand in their sound fusions with old American funk and soul, Brazilian Jazz, and, at times, reggae, and utilizing the rhyme schemes which is only over-shadowed by its abrupt, political nuance. It is the hip-hop that is “all honest,” and “against the grain.” – KUMSFM Geek Thug Radio’s DJ and Live Manikins’ MC, Justin Rubio aka Mr. Lingo. With the anticipation of their new self-entitled album, the soundscape they have created will sure to deliver consistent work to their growing following. 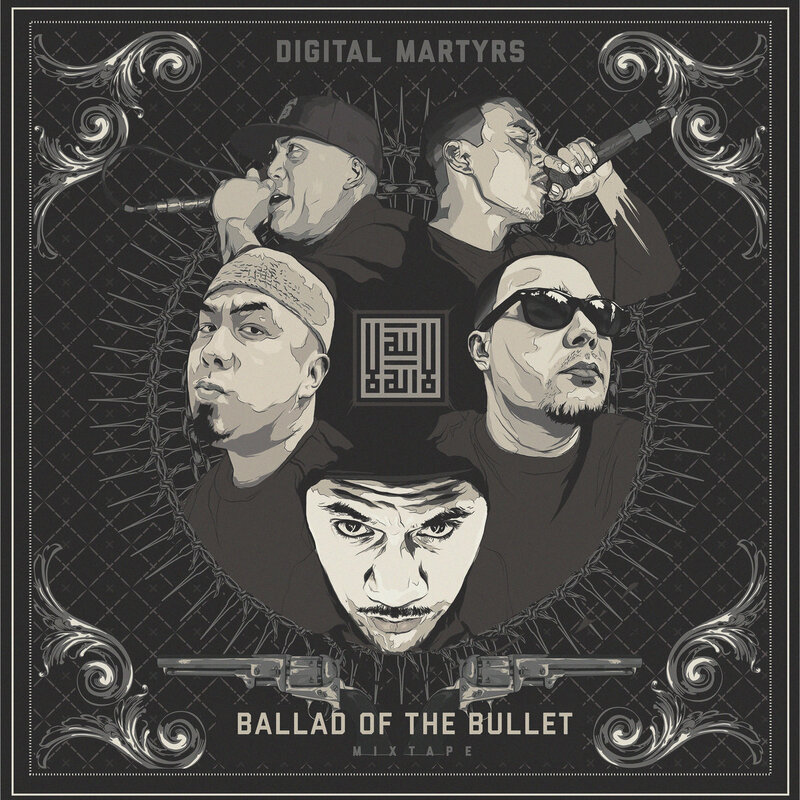 The Digital Martyrs distinct sound stems from a lifetime of musical influence, owning residual characteristics of artists they look to for inspiration, ranging from Immortal Technique to Brother Ali, Mos Def, to Sage Francis.